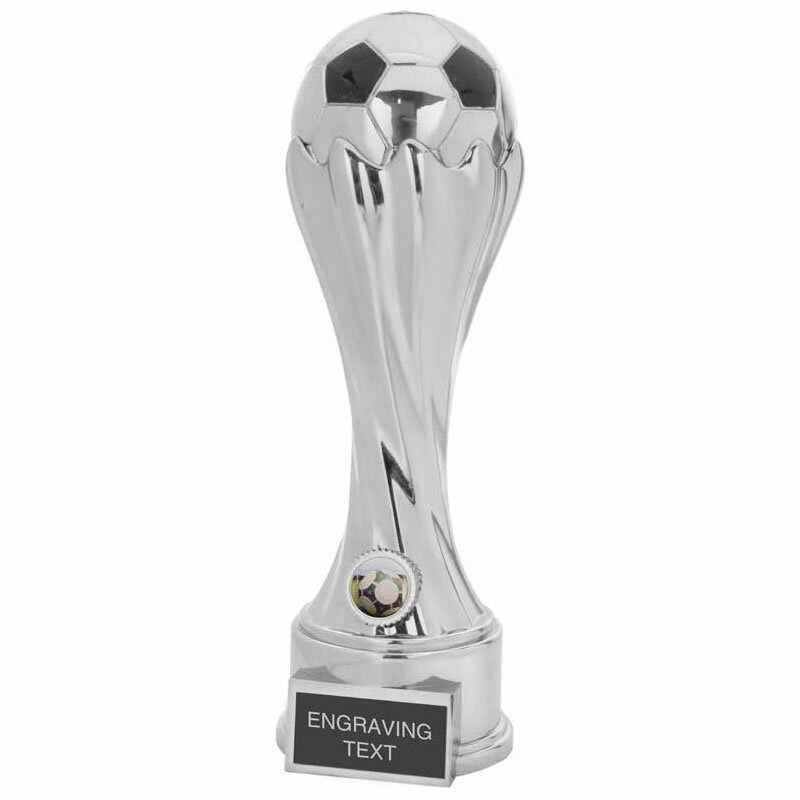 These universal football trophies are suitable for both team awards and individual player awards, and for both men's and women's football. They feature a detailed soccer ball inset in an elegant tapered stem with twisted design, on a circular base with black engraving plaque. Available in five sizes, offered with engraving options.